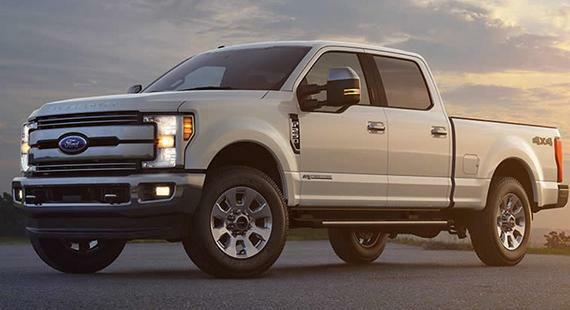 The F-Series isn't just the biggest-selling truck line in America; it's the biggest-selling vehicle model period. Despite its incredible and ongoing sales success, the Super Duty models haven’t been redesigned for what is now a pretty staggering 17 years; until now that is. The 2017 Ford Super Duty isn't a facelift and it isn't a refreshing of the model, it's a complete re-engineering and redesign that represents one of the most important and momentous events in recent truck market history. There's no getting away from the phenomenal success the F-150 has enjoyed since it was completely overhauled a couple of years ago, so the company must have been itching to give the 2017 Ford Super Duty similar treatment. If the F-150 isn't quite up to the jobs you have in mind for your next truck, the Super Duty is where you need to look next. And if there isn't the right pickup truck for you in the Super Duty family either, it's probably not a pickup you need at all. The all-new 2017 Ford Super Duty family is now made up of no less than 15 different models. At the entry point to the range is the F-250, and if that's not big enough and capable enough for your needs there's always the F-350 and F-450 to turn to. Then there are the trims, which start off with the XL and then go up through XLT, Lariat and King Ranch before the range tops-out with the spectacular Platinum trim. Despite the fact there are so many variants to choose from, what many will find surprising, especially for a line of pickups, is the fact there are just two engines spanning the whole range. However, when you start to dig into the detail of what these two engines are and what they're capable of, it's obvious there's really no need for any other options. There's just one gas and one diesel engine to select between, but what a couple of monsters they are. The gas variant that's standard with most versions of the Super Duty is a 6.2-lter V-8 that develops a seriously capable 385 horsepower and 430 lb.-ft. of torque, which is sent to the rear or all four wheels through a six-speed automatic transmission. 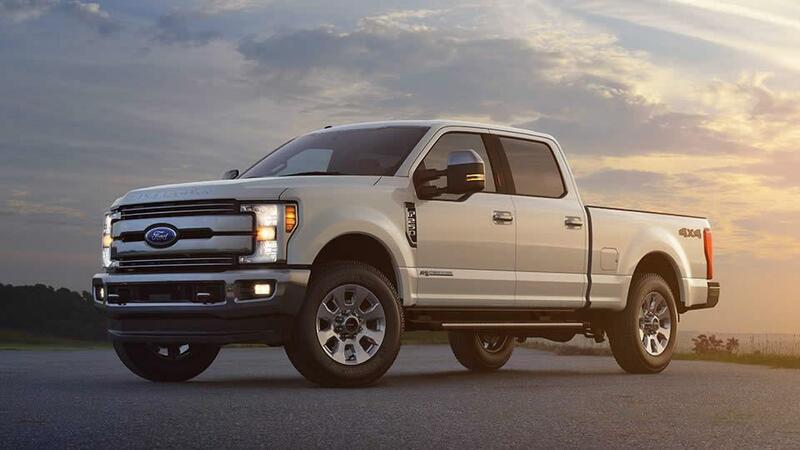 But if that's not enough power for your needs, the optional engine really is something special as it's a 6.7-liter V-8 PowerStroke turbo-diesel that produces an impressive 440 horsepower, but an almost ridiculous 925 lb.-ft. of torque. That incredible power is sent to the wheels through a six-speed automatic transmission that shares the same amount of gears as the one for the gas engine, but very little else. But what sets the 2017 Ford Super Duty trucks apart from the F-150 is their construction, which is quite evidently designed to deliver staggering capability. 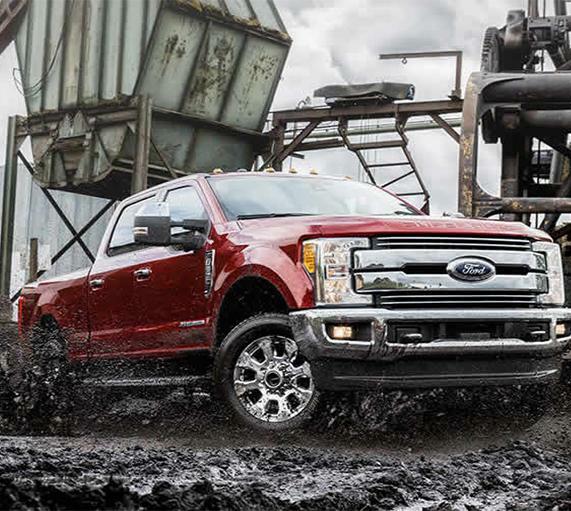 The core DNA of this all-new Super Duty is the immense frame it's built upon. The new architecture is fully boxed from front to rear and constructed from no less than 95 percent high-strength steel. It’s an almost unimaginable 24 times stiffer than the frame of the previous generation and about 70-100 pounds heavier, depending on the particular wheelbase you're considering. Take a look underneath and the frame definitely looks like something meant for a much bigger truck. The frame rails are 1.5 inches taller than they were on the previous incarnation, and even the cross members, which are now closed-section units, are so incredibly substantial they look as though they could even be used as frame rails on a truck of smaller proportions.